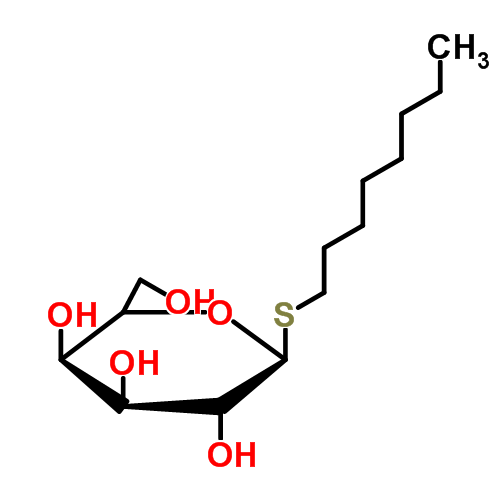 Octylthiogalactoside is a nonionic detergent and can be used to either inhibit or induce β-galactosidase. It is commonly used to solubilize membrane proteins or lyse cells. Storage/Handling:Store at -20°C and protect from light. Forms a colorless, clear solution when dissolved 5% in methanol.